The abductors of Sumayya Abubakar have threatened to execute her if their demand of N20 million is not met in the next 24 hours. Naija News understands that the kidnapper gave a 48-hour ultimatum on Tuesday in a telephone conversation with her father, Abubakar Yusuf. With the spate of child kidnapping in Nigeria, I wonder how long it is before RFID chips are popular. I don't think it would though, because churches would claim it is the "mark of the beast (666)". Perhaps to show their determination to carry out their threat, the kidnappers told Mr Yusuf that they killed 20-year-old Surajo Umar, a neighbour to Mr Yusuf, who was also in their custody. Ms Abubakar and Mr Umar were abducted in October alongside four others in Zurmi, a village in Dauran town in Zamfara State. 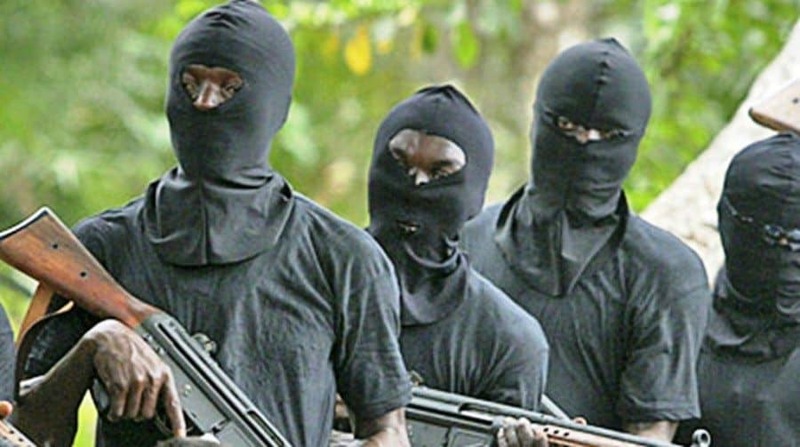 The abductors threatened to kill them after the girls’ family said they could not raise the N15 million ransom the criminals demanded; but reports say the kidnappers later reduced the amount. In an audio clip that went viral, one of the twins was heard pleading for help from both the government and the general public, saying some kidnapped victims, whose families could not pay the ransom to free them, were slaughtered in their presence. Donations from a senator, Kabiru Marafa; the chairman of Zarmi local government, Awwal-Bawa Moriki; and crowdfunding on social media, aided their release. Two other victims said to be brothers nine and ten years old, were also reportedly released after payment of ransom. Sumayya’s father while Speaking yesterday said that he feared for his daughter’s life. “Right from when Sumayya was abducted, the whole family and our loved ones have not been finding it easy. “The situation our daughter, who was two months pregnant, has found herself – in the bush with the kidnappers – without food and water, is terrible. 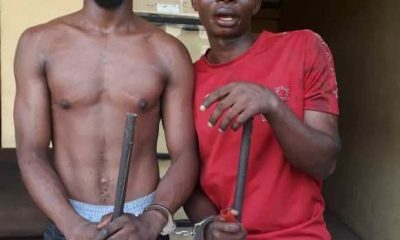 Kidnapping in Nigeria is now unofficially a booming cottage industry. I don't know whether it should fall under formal or non-formal economic activity and what FIRs is doing about collecting taxes. Sumayya’s father, Abubakar Yusuf also spoke on how some money was raised for the kidnappers. “I spoke with the abductors on Tuesday morning. There is this old man, Lawali Dauda, he is like a father to us. Since the abduction, Mr Dauda has been helping on how to get those in captivity released and has been communicating with them. “With the help of God, we were able to raise N5 million. Mr Dauda called and told them of the money and they agreed to collect it. Mr Dauda then said, he would be the one to hand over the money to them on his own, no matter their choice of location. “Upon getting to their place, they held him back, thinking he was Sumayya’s father they have been talking with. “The bike man who drove Mr Dauda there said he overheard them telling him to give them money because they know Sumayya’s father to be a very wealthy person in the society. According to Mr Yusuf, the kidnappers said Mr Dauda would not be released until N50 million is given to them. “The negotiation with them continued until they resolved that we pay N20 million in order to get Sumayya and the old man released. They threatened us that, it is either we pay N20 million or they would kill them. “It was at this point they affirmed to us that they have killed Surajo. They swore that nothing would be reduced from the N20 million and that if after 48 hours the payment is not made, they would kill them. Surajo Umar, also in captivity by the bandits but have also been reported dead. When asked if efforts were being made by the local and state government, Sumayya’s father said the local government chairman is not in any way helping the family. According to him, “the chairman only helped in the rescue of those twins, who were related to him. After their release, he has done nothing to help us get the rest out of captivity.” “On the side of the state government, I went to the government house where I was taken to the chief of staff. When I met him, I told him of the situation at hand and since then, we have not heard from anyone. “The only thing the chief of staff told me was that the government is doing everything possible to get those in captivity released. “The chief of staff told me that a sum of N5 million has been placed for whosoever goes into the bush to get the victims in custody out. He said that would serve as a gift. Sumayya’s mother, Hadiza, also speaks on her concerns for her child’s life. “The day I happened to speak with the abductors, they said – so we love Sumayya- and I asked them if there is any parent who would not love their child. “I pleaded and said they should, in the name of God, release these people. They said they would not, until we pay the ransom, which was N150 million then. I told them of Sumayya’s father’s health condition. This is the period Mr Dauda, (the old man with them) collected their contact to speak with them in place of Sumayya’s father but they turned down our request. “We are pleading with the government and the general public to please, come to our rescue,” the mother said. 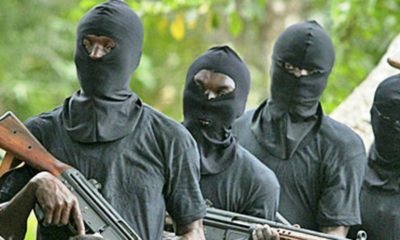 Naija News at several times reported how communities in Northern Nigeria and other parts of the country have suffered attacks by bandits in the past year. These have caused hundreds of deaths as well as the kidnap of several others. The attacks have continued, despite the deployment of thousands of security operatives to the state. 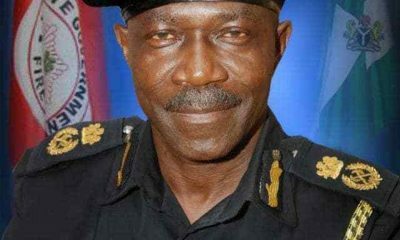 Apart from the killing and kidnapping civilians, the bandits have also attacked security officials killing dozens of police officers and soldiers.